Introduction: Investment casting, the modern refine and hitech variety of the ancient lost form casting, this process is used to build aircraft engines for civilian and military purpose. 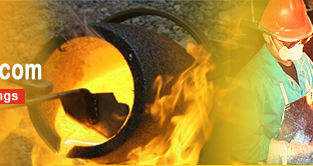 Investment casting is the foremost casting techniques of modern days which is based on lost form casting, one of the oldest casting techniques. This Modern form of lost wax process was developed during wartimes when it was found practical for many wartime needs. Later, with the growth of the civilian aircraft industry in the 1980's investment casting was largely in demand. 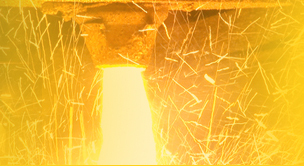 Today, powered with modern computer technology, robotics and modern casting techniques, 15% of the world's industrial casting is produced by investment casting method. Process: A pattern is made is wax and a wax gating system is separately arranged for investment casting. The pattern and gating system are assembled and dipped in a slurry of refractory coating material like tetra ethyl silicate, ethyl alcohol, hydrochloric acid, silica, magnesia, etc. The pattern is placed upside down and supported by flask. Now the molding mixture is poured around the pattern. The mold mixture is a combination of sand and and materials like alumina cement, ethyl silicate, etc. The mold is placed in a inverted position and heated, which helps the wax that flow down to be collected for reuse. A specific temperature is maintained in the mold for pouring of the alloy and for helping preserve the intricate casting designs. When the wax completely melts out, the void space is filled with molten metal. Burnout process helps in removing the wax and gas-forming material formed in the mold. Applications: Jet propulsion for military and civilian aircrafts gave investment casting the foremost status in the casting industry. From heavy casting of 300Kg to small casting of 30 kg, this casting method is used for as wide for hi-tech industrial applications. This process is more expensive than sand casting in terms of the casting techniques, but the equipment are relatively cheaper. But still, investment casting is largely relied on for complicated designs that cannot be casted using any other method. Investment casting finds widespread application in spacecraft, jet engines, etc. Though this industry is heavily depended on the aircraft industry, it is is find our new field of application to broaden its horizon. A wide range of metals and high performance alloys can be investment casted.